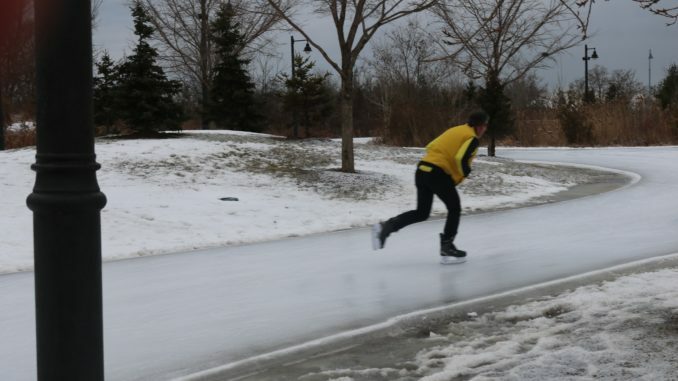 If you’re looking for a fun and family friendly winter activity or just looking to hang out with friends or a significant other and don’t mind the frigid cold temperatures we have been experiencing lately, then look no further than the Colonel Samuel Smith Park’s brand new outdoor skating trail. Located right next to the Power House Recreation Center on Colonel Samuel Smith Drive, the “8” shaped trail features 250 meters of open ice and lots of twists and narrow turns to keep you going. The Colonel Samuel Smith skating trail is one of two trails open this winter to give Torontonians a different kind of skating experience. The other is Under the Bentway and is free for all ages.